As prior readers of my blog are aware I work in the centre of Lincoln and the building is located on the Wharf. The main feature of which is the Brayford Pool which is an understated way of describing what the large expanse of water is. 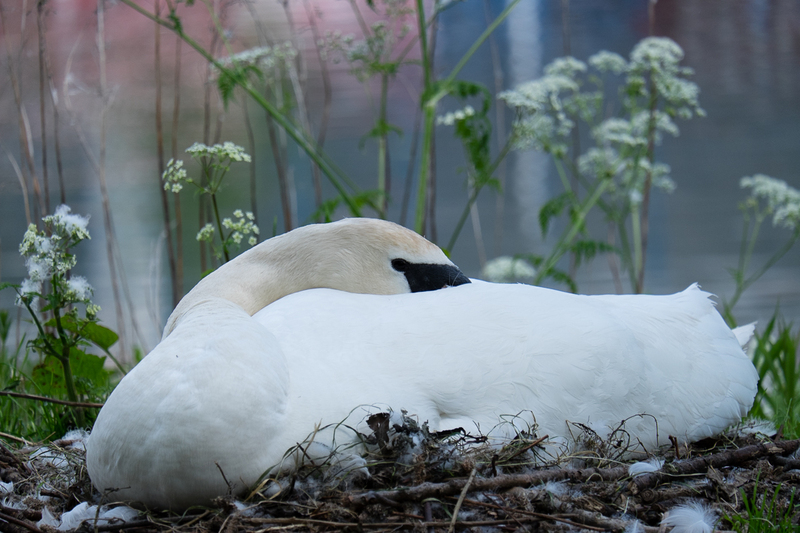 Like any large expanse of water, wildlife is naturally drawn towards it and the main wildlife here is Mute Swans, there is a very large colony of them. 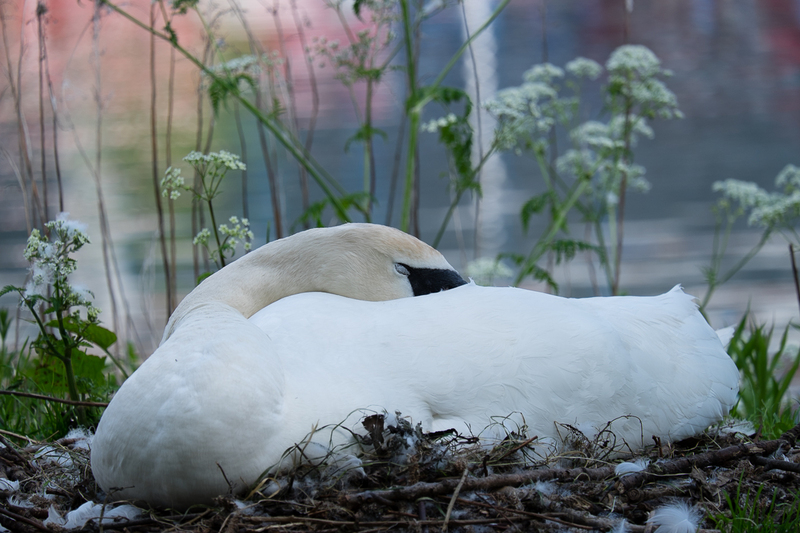 Every year the number expands by a few as there are a large number of breeding pairs and this is the time of year that they have their young. My main concern is that someone walks down this path and disturbs the swan or damages the eggs and later injures the cygnets. I couldn’t possibly imagine doing something like this and neither would 99.99% of people, it the 0.01% I worry about. I know swans are a protected species, this doesn’t stop everyone even though they could be prosecuted. Fortunately, the path has a parallel dirt track/road that everyone can use and everyone seems to be giving the path (next to the nest) a wide berth. As I pointed out I kept to the parallel track and did not get too close to the swan so as not to appear threatening and I left after taking only a few pictures. 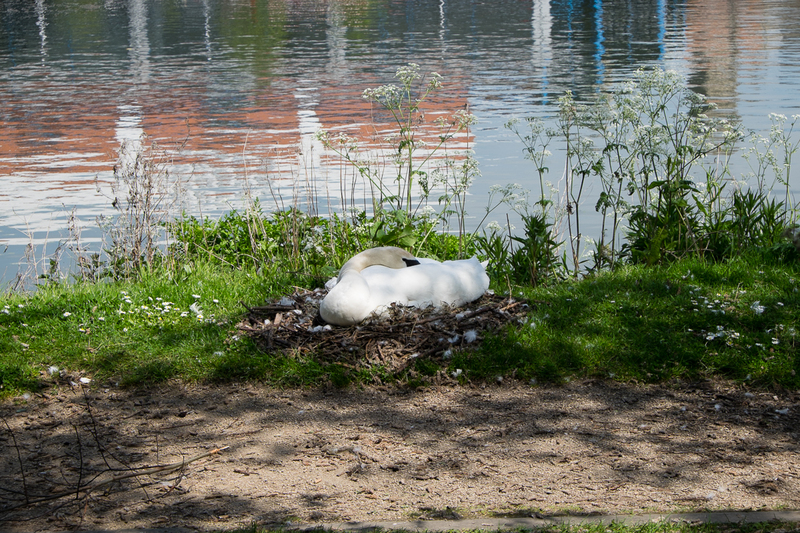 I didn’t want to disturb or alarm the swan.